Despite a motivational app that’s supposed to keep Letty on the straight and narrow, she reverts to a life of petty crime, including a series of robberies at a swank hotel. That’s what really lands her in hot water. While hiding in a closet, Letty overhears a professional hit man, Javier Pereira (played by the Argentinian actor, Juan Diego Botto) finalizing plans to murder his client’s wife. Letty may be a crook, but she’s no murderer, and she does all she can to prevent Javier from carrying out his next assignment. She seduces him but the tables are quickly turned as Letty is ultimately blackmailed into a partnership with Javier! 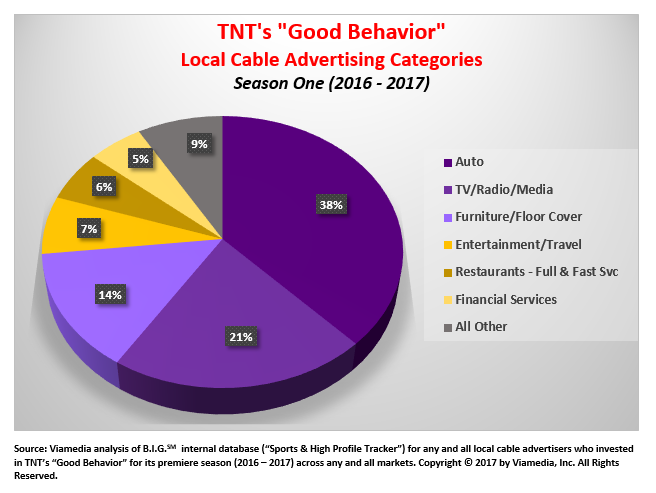 TNT’s “Good Behavior” has been on air for only one season, so we have no baseline comparisons to quantify year-over-year sales metrics. But the show received advertising support in line with other first year drama series, attracting 40 advertisers who ordered nearly 200 spots across 22 Viamedia markets (~30% of Viamedia’s national footprint.) That comes to an average of nearly five spots per advertiser. 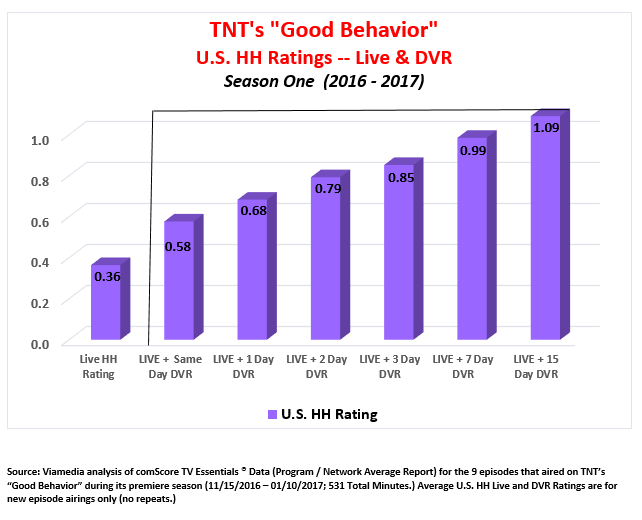 TNT’s “Good Behavior” represents one of the bigger ratings surprises (in not necessarily a good way) of all the cable drama series we’ve blogged about in this space. The show’s premiere season was generally well received by critics; it has obvious star-power in the multi-talented Michelle Dockery (who is, by the way, quite a singer); and the chemistry she generates with co-star Juan Diego Botto practically bursts through the TV screen. 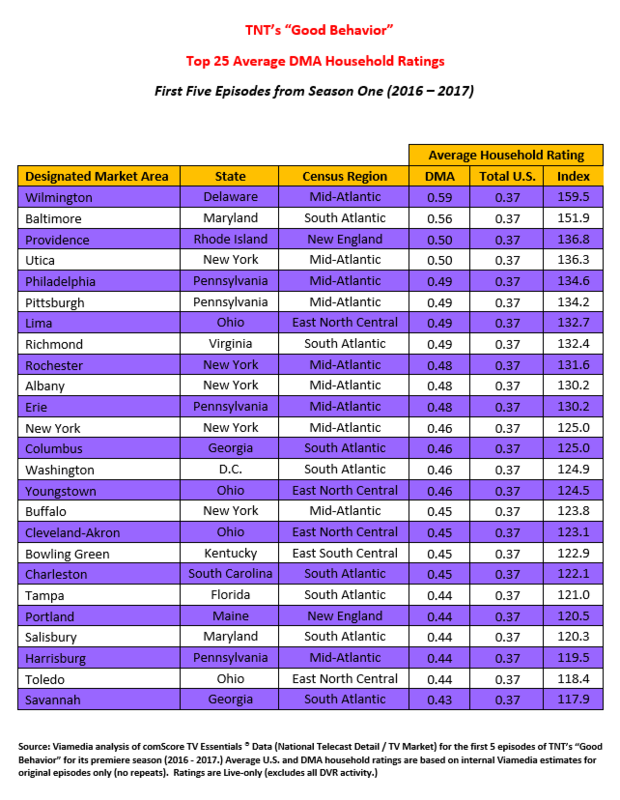 So, why the okay (not great) Live television ratings in its premiere season? 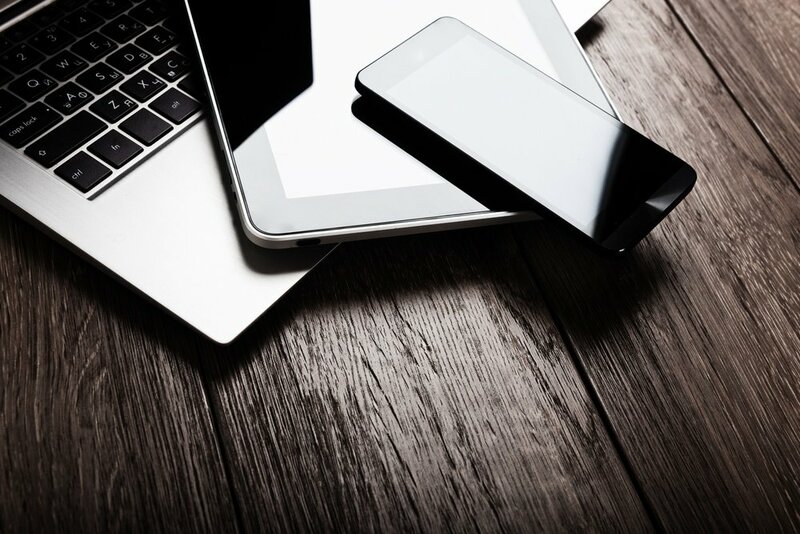 That’s not entirely clear, although the show (as is the entire television medium) is swimming against a tide of increasing digital video usage, DVR activity and everything else that consumers are doing with connected TV devices. Or, perhaps the underlying premise of the show -- a forced romantic partnership that engages in murder -- is not everyone’s cup of tea. 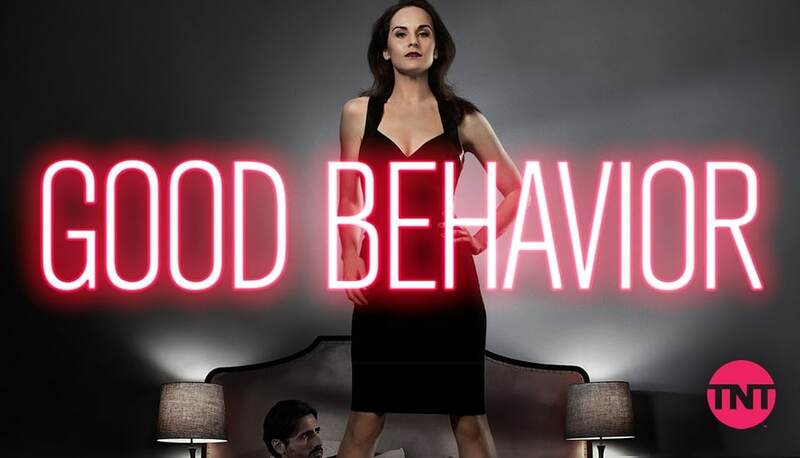 Still, the show has generated significant playback activity, and there a good deal of dramatic tension generated by the two stars, who will need new and intriguing material in their second season to ensure “Good Behavior” is still around for a third.